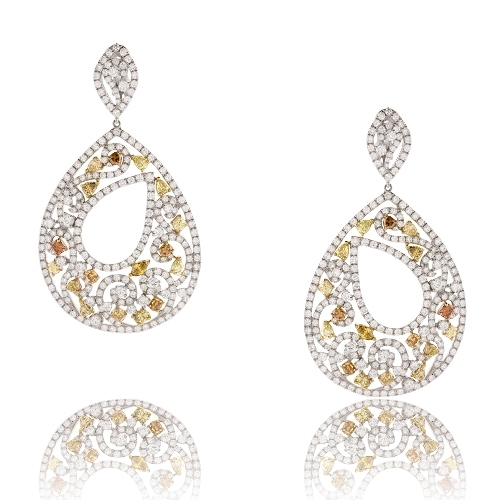 Door Knocker Style Dangle Earrings composed of yellow diamonds, fancy colored diamonds, white diamonds in an open design of 18kt tricolor gold. Diamonds approx. 13.18ct. Earrings 2"